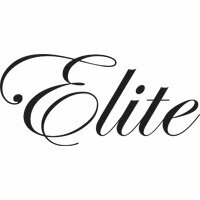 Elite pool cues are focused on elegance and quality. Every Elite cue features an elegant, simple design that puts the beauty of quality woods on display. Birdseye maple, cocobolo and bocote wood are the standard for these cues, putting Mother Nature's greatest work on display. In addition to beautiful cues, Elite also makes high quality pool cue cases of all sizes and styles. This is a joint protector set that will fit on our ever so popular Elite Break Heavy. You can now protector that thick wood pin that comes on that cue with this set. This shaft comes in a 12mm or 13mm and fits the Elite EP02, EP15, EP24, EP28, EP29 and the EP31 with the 3/8x10 pin size. This shaft comes in a 12mm or 13mm and fits the Elite EP01 and the EP25 with the 3/8x10 pin size. An elegant test of skill and strategy, the game of snooker deserves to be played with a stylish instrument like the Elite ELSNK04 Snooker cue. This cue is made from one piece of solid ash and converted into two pieces by fitting a superb brass center joint to ensure a precise granular match. The sleeve is adorned with white, acacia and black wood spliced veneers for a magnificent appearance.